Disclosure: I’m new to all of this CSS, HTML, etc. shenanigans; aside from a private BookStack instance, this is my first venture into any kind of theming. That being said, I put Casper in the dark and he picked up a few tricks/features. 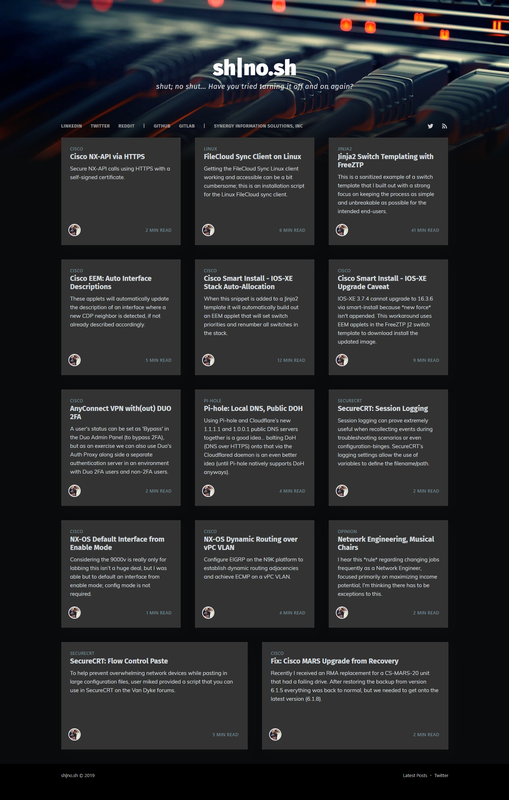 I’ve attached a couple screenshots, or you can check the theme out on my site. It’s a bit of a work in progress, but I thought it was sufficiently done enough for sharing. The GitHub repo contains a more thorogh readme and usage examples for the features below. 5 custom callout styles (inspired by BookStack callouts). <div> can be used to include line-breaks and markdown in the callout; markdown requires a blank space after the <div>. Styling for HTML5 <details> elements, used as accordions. Custom format for single column tables outlining process steps. This is really nice. Thanks for your hard work and for sharing! Thank you very much, making a lot of changes/tweaks as I learn. what do you use for the blocks <pre><code></code></pre>? Are these two plugins enough? 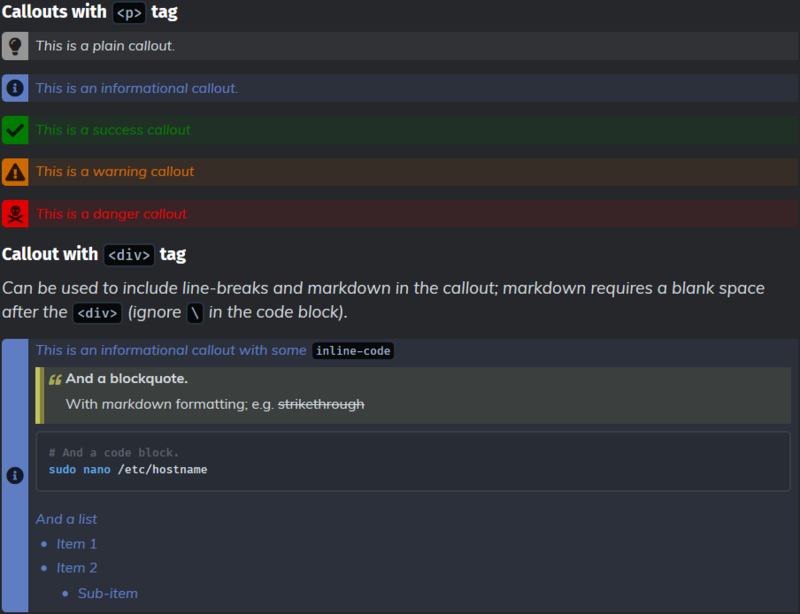 @giacomosilli - the code formatting, or syntax highlighting, is provided by PrismJS, which I included in the theme. Usage details can be found here. Little bonus is a hack for the command-line plugin that allows multiple prompts to be defined; e.g. different prompt for line 1 versus line 2; see this link for reference.